Right on Abovyan Rustaveli crossing point you will see the Villa Kars hotel building and the Italian consulate. This house was built during 1900-1920 by the Geghamyans family. As people tell, when Geghamyan brother heard that a famous italian architect had arrived to Tbilisi they rushed to see him in person and invite to built their house. 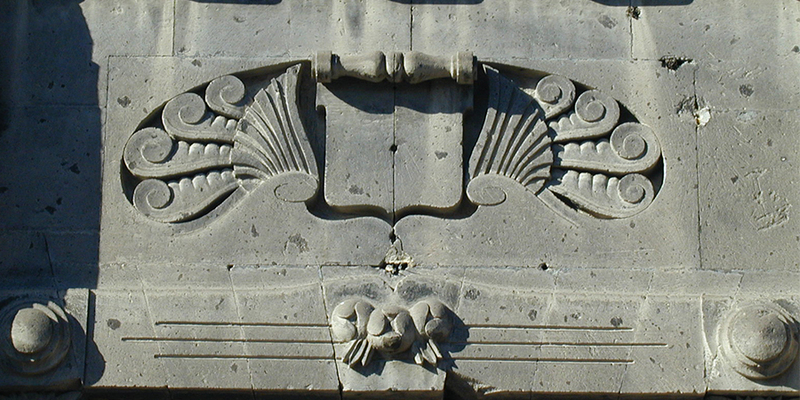 The house has unique architectural elements and was one of the modern houses in Alexandrapol. 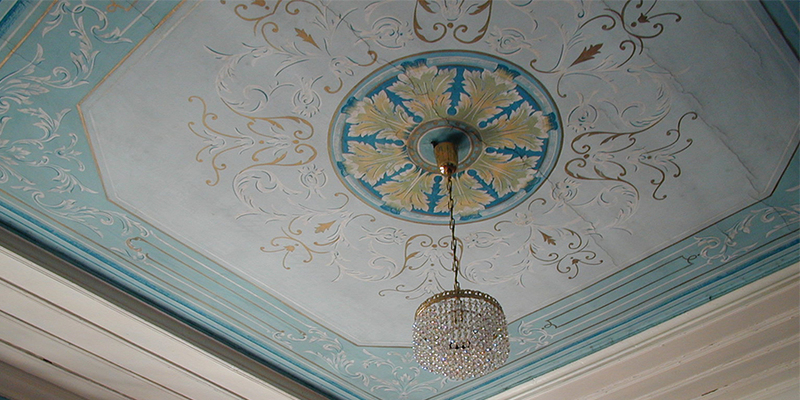 Some of the wooden decorative ceilings and doors are preserved in the living room and in bedrooms. The back part of this building which stands on Rustaveli Street is the residence of Antonio Montaldo, the Honorary Council of Italy to Armenia and the Villa Kars hotel, which is also located in the same building. The house itself has become the core of attention of armeninan cinematographers. 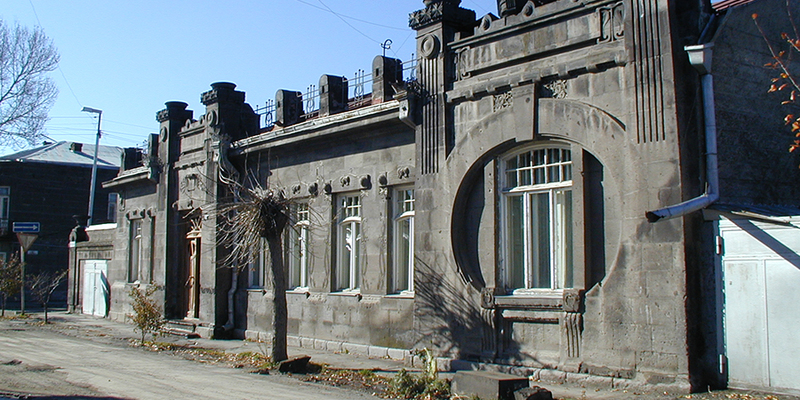 You can see the external front of the house in the film “Dawn at a sad street” by Albert Mkrtchyan (2008). The shootings of Armenia famous movie “The killed dove” (Spanvac Aghavni) also took place in this house.